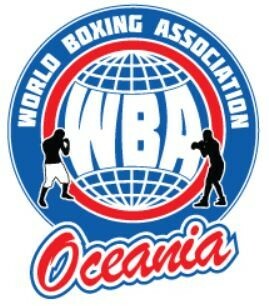 Failure to meet the mandatory defence will lead to the WBA Oceania withdrawing recognition as the WBA Oceania Champion. The WBA Oceania will accept applications if necessary from two eligible contenders to take part in an elimination bout to decide the mandatory contender. If the Champion is unwilling to defend against the mandatory contender, then recognition of the champion will be withdrawn and the winner of the elimination contest shall be in one corner for the vacant title contest. A WBA Oceania Championship bout can be fought over duration a of TEN ,ELEVEN or TWELVE rounds. A Champion must not box in either; (a) A non-title bout; or (b) A title bout for another organization unless he receives a special permit from the WBA Oceania prior to that bout. 2. A Champion may only be granted one special permit within each 6 month interval commencing on the date they either won or successfully defended their WBA Oceania title. 3. A special permit will not be granted where it is proposed that the Champion will compete in a bout under 1(b) unless the WBA Oceania title is being defended in that same bout. 4. The granting of a special permit attracts a fee of $250.00 USD and that fee must be paid to the WBA Oceania as cleared funds prior to the issuing of the special permit and the bout commencing.